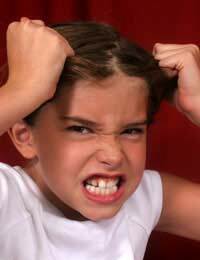 It is not only teenagers and young adults that exhibit anger management difficulties. Primary school aged children are just as capable of expressing anger and frustration, both at home and in the learning environment. This can be triggered by a number of reasons, ranging from peer pressure, low self-esteem and confidence issues, frustration and personal difficulties. Where adults are able to explore their anger through accepting and acknowledging, before seeking the correct resolution, children are not so easily able to do this. For some children the first step to identifying anger is overcoming shyness. This can be overcome by introducing opportunities to express mood and feelings. In a classroom environment it is a good idea to introduce this practice as a game that all children can participate in. Using pictures cards, that show references to a mood or feeling, will also help a child explain how they are feeling. This practice will also increase the child’s emotional vocabulary. Once individual mood is identified and accepted it will also be easier for the children to relate to each other’s moods. This in turn provides a better understanding of situations and experiences within the classroom boundaries. Anger is not only expressed in words. Our body language also displays the way we feel and the mood of our thoughts. Increasing social awareness allows children to understand that anger is expressed in many ways, and that a facial expression, gesture or posture can also show how a person is feeling. By looking at the body language that each individual uses children will develop a better understanding of how to express feelings and emotions in a more acceptable manner. There are many follow-up games that can be used to help overcome difficult, and stressful, emotional situations in the classroom. Identifying each other’s moods – where one person’s mood is expressed freely as the other children verbalise their feelings and thoughts – encourages a helpful and caring attitude and an interest in the wellbeing of others. It also takes away the focus on anger and frustration. Encouraging children to regularly express their mood in a sentence is a useful method of getting the child to pause to consider how they are really feeling, and to become more open to identifying and expressing moods before they escalate. Expressing feelings in a creative way is an excellent tool for reducing aggression. This can be explored with music and movement or through the use of a variety of art media. Doodling is an easily accessible practice and allows and encourages instant free expression. It also identifies mood and feelings and the opportunity to talk about these. This exercise can also be effectively used to resolve conflict caused through anger in the classroom. For older children, and young adults, role playing provides the opportunity to experience what others are feeling as a direct result of the way you are expressing yourself – whether this is through anger, frustration, confusion or other controlling emotion. Encouraging children to see situations and experiences through another person’s perspective also broadens their own understanding of emotions and moods, and equips them with ways to explore finding resolution. Hi This site is very useful. I work across schools based in Wolverhampton. Do you deliver staff training for primary schools?